THANK YOU, TROOPS, VOLUNTEERS, AND FANS! THE VAN !!!! Thank you TOYOTA! Thank You DARCARS for the presentation party! THANK YOU TO EVERYONE WHO VOTED! Check out the radio interview, "A new ride for wounded warriors". 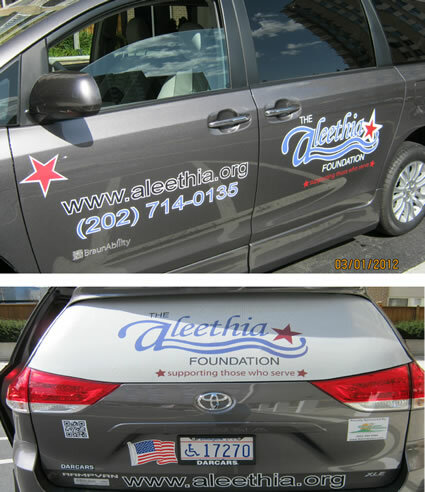 THE ALEETHIA FOUNDATION is proud to announce that we had been selected as a finalist in Toyota’s 100 Cars for Good program and because of your support and your VOTE on Wednesday, June 15, 2011...The Aleethia Foundation WON a Toyota Sienna Wheelchair Accessible Van! 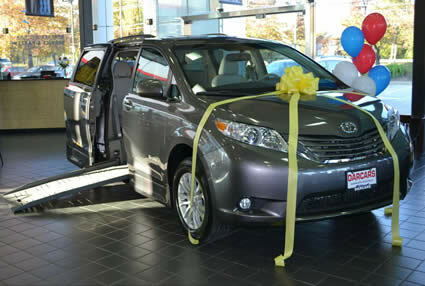 Toyota’s 100 Cars for Good program will be awarding a 100 vehicles over the course of 100 days based on votes from the public. The Aleethia Foundation was "Day 38" winner. 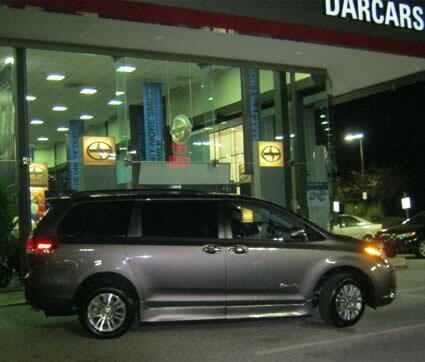 This new Toyota vehicle will provide wheelchair accessible transportation for hospitalized service members. 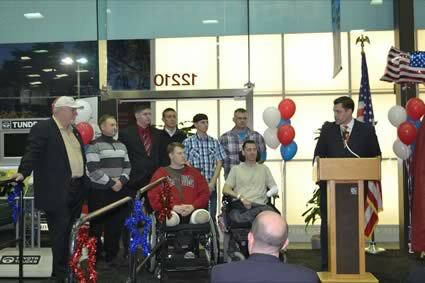 It will be a helpful, cost effective way for us to further assist newly wounded, injured and ill service members. The troops rule and they deserve this special recognition by so many wonderful people that stepped up and voted. We greatly appreciated all your efforts in spreading the word to vote ... but, more importantly, thank you for supporting the service members! This was about more than just winning a free van!